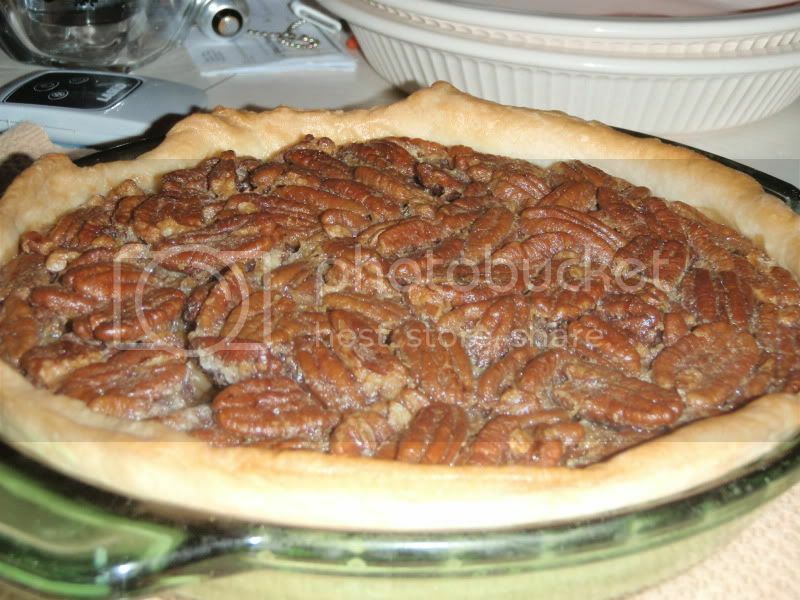 Using 1/2 of my double pie crust recipe, this recipe is made in a tart pan. I modified this recipe from Bon Appetit, November 2009. Note, even though I used one tsp less than 2 tablespoons, even after cooking, I could smell the boubon. Not sure how it will taste, but it wound up looking like a tart even in a pie pan-ish dish. Roll pie crust to fit tart pan. Press into pan, trim, and refrigerate for 3 minutes. Preheat oven to 375 degrees. 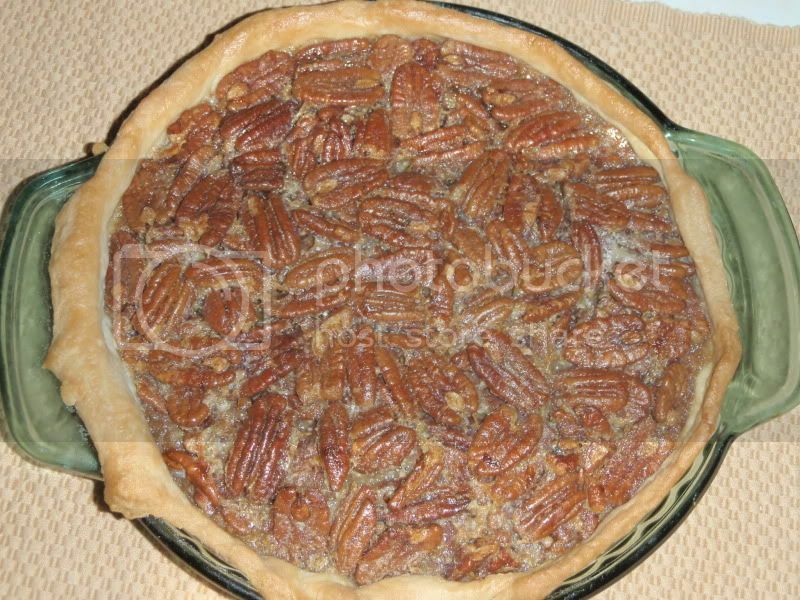 Line crust with foil and fill with beans or pie beads. Bake on a baking sheet until crust is set and golden, about 30 minutes. Remove foil and beans. Bake another 10 minutes. While crust is baking, prepare filling. Beat eggs and sugar in a medium. Beat in corn syrup, butter, bourbon, vanilla and salt until well blended. Stir in pecans. Pour filling until hot pie crust. Bake until set about 25 minutes. Cool tart on rack for an hour before removing pan sides.